Archie Andrews has cheated the calendar for many years, having been a teenager since his comics debut in the 1940s, but death finds him — at least in an alternate reality—in the upcoming Life With Archie #36, according to CBR reports today. "Wein's Law" — named for Len Wein, the writer who coined it — famously holds that "no one in comics is ever dead unless you can see the body, and usually not even then." Comics "deaths" are usually temporary in nature and often done as a publicity stunt, and they have often been greatly successful in gaining attention. The November 1992 "Death of Superman" resulted in a reported $30 million day in comics shops, the most money ever made in the business in a single day; and more recently, the death (also temporary) of Captain America led to the comic book where it happened becoming the best-selling issue of 2007. 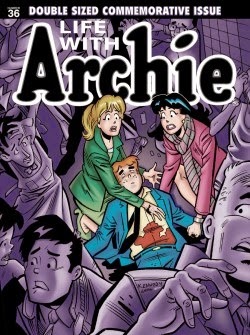 Life With Archie is a magazine-sized title set in a different universe from regular Archie continuity, so this event doesn't exactly fit the mold: the regular Archie title goes on — as does Afterlife With Archie, the title which in June gave Archie — and his eponymous publishing house — its first ever appearance at the top of the graphic novel bestseller list. (See the just-released June estimates here.) As noted in our reports of that event, the main Archie title itself was no stranger to the top of the comic book charts, once upon a time; after many years of collecting, I am pleased to present the complete circulation record of the main Archie title, as reported in statements filed with the United States Postal Service. Click to see the grid of circulation statements. The main Archie title began in Winter 1942 and has been published without interruption ever since; its frequency has changed over the years, increasing or decreasing to reflect market situations, but it has never been renumbered. (That makes it the longest-running ongoing North American title never to be renumbered, a good honor to have.) It has been sold by second-class or periodical-class subscription for most of that time, and as such, has had to file Statements of Ownership, Management, and Circulation, which it prints in the comic book in the early part of each year. Where DC and, more recently, Marvel have stopped printing the forms, Archie continues to do so, and so Archie represents one of the few titles for which an unbroken track of reports from 1960 exist. The cross-time picture they paint is a good deal different from what could be drawn for many other titles, in part because of the nature of the comic book and its audience. The main Archie title was very popular in the newsstand era. Archie had been running for 18 years when the 1960s began; the title was selling half a million copies at that point. The series reached its post-1960 peak in 1968 with the launch of the animated TV series from Filmation, which ran during the 1968-69 season on CBS; by 1969, when the song "Sugar, Sugar" released by a band called The Archies reached #1 on the Billboard pop charts, Archie, too, surpassed Superman and Batman to become the #1 title in comics. It remained at #1 through 1973, based on Comichron's collection of circulation statements; finally, in 1974, The Amazing Spider-Man and Superman both passed it. 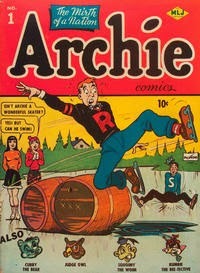 During the distribution tumult of the 1970s, Archie began focusing more on digests — a market it had helped to create through its work with the Comics Magazine Association of America to establish grocery store counter dumps; as such, in 1977, the same year that Archie fell out of the top 10, its sales were surpassed by Archie Comics Digest. Betty and Veronica surpassed Archie's sales in 1980. In 1982, the title's frequency was reduced from monthly to bimonthly. 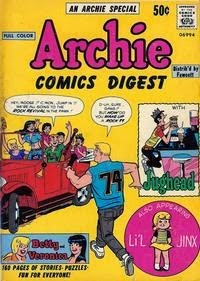 As the comic-shop market grew in the 1980s, Archie's publishing focus remained on the newsstand; sales recovered a little in the late 1980s thanks in part to added attention to its subscription business, but the flourishing of the comic book market helped Archie less than most publishers, given its younger target demographic. Enough so that when the early 1990s brought a colossal boom in the comics shop market, it's barely noticeable from the title's sales. Editorial initiatives in the 2000s sought to raise the title's sales, with particular success in 2007, and later with the release of the landmark 600th issue. By the 2010s, however, the monthly comic book was being outsold three-to-one by its digest counterpart. So the major differences between the title and other comics make it less reflective than most books of the history of circulation in the intervening years; as noted, it's not even a great bellwether for the publisher itself, where digests, digital, and other formats are an ever-larger part of the business. 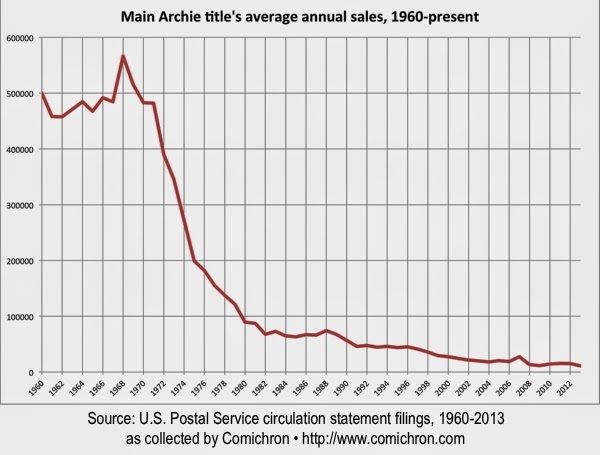 (Archie sold well over 2 million digests last year, judging from the other postal statements.) [7/15 addition:] Further, the title is increasingly less tied to the flagging fortunes of the newsstand market: comics shops accounted for about four out of every nine copies that visited a cash register in 2013. The main title's sales in comics shops have increased during the last decade: this June's #656 had orders of 4,063 copies, versus 3,097 copies for #549, exactly ten years earlier. 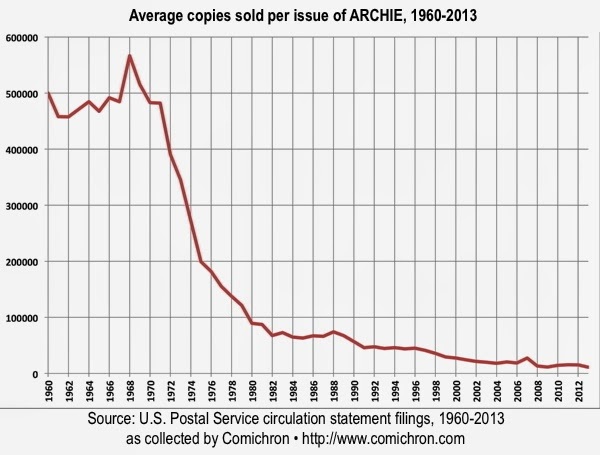 But all told, more than 85 million copies of the main Archie title were sold between 1960 and 2013, making it one of the comics you're most likely to find on the secondary market. Archie lives — in our reality, anyway! Look here tomorrow for the release of the long-awaited 2013 end-of-year data, including the direct market, outside channels, and digital, the product of our first-ever joint analysis with ICV2.